The California Court of Appeal has ruled that the Franchise Tax Board could impose an alternative apportionment method against General Mills because the apportionment method used by the taxpayer did not fairly represent its business activity in California. The Court of Appeal had previously ruled that General Mills properly included hedging receipts in the denominator of its sales factor for California apportionment purposes. General Mills v. Franchise Tax Board, 172 Cal.App.4th 1535 (2009). The effect of that determination substantially reduced General Mills’ corporate income tax liability in California. 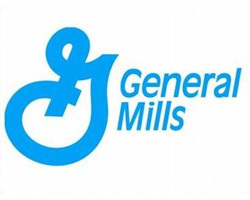 However, the case was remanded to the trial court to determine whether inclusion of the hedging receipts in the apportionment formula calculation resulted in a fair representation of General Mills’ business activity in California under California Revenue & Taxation Code § 25137. The trial court determined that it did not. The trial court then adopted the FTB’s alternative apportionment formula which included only the taxpayer’s net gains from its hedging strategy in the sales factor. In this ruling, the Court of Appeal affirmed the lower court’s determination and the imposition of the alternative apportionment formula. This entry was posted in State and tagged Alternative Apportionment, Apportionment, California, Fairly Represented, Franchise Tax Board by admin. Bookmark the permalink.